The Tre Venezie is comprised of the three most North Eastern regions of Italy and is well known for its Pinot Grigio. Trentino Alto Adige Veneto, and Friuli Venezia Giulia all benefit from long warm summers and hot currents rising from the Adriatic coast. The wine that results from the climate here is light, silky and has strong perfumed aromas.There is a saying in North Eastern Italy: Pane e vino fanno un bel bambino, which translates as "bread and wine make a beautiful baby". Of course, this is not taken literally, but points to the importance of wine as a staple of the Italian diet. Trento-Alto Aldige produces a number of French style grapes: Cabernet Sauvignon, Merlot, Chardonnay and Pinot Grigio. It also produces the German style Muller Thurgau, grown widely throughout Italy. The local family run and cooperative vineyards produce good quality affordable wine, some of which is exported in small quantities to Germany and Austria.Veneto produces some of Italy’s best known wines, regulated by the Italian D.O.C. system (similar to the French appellation system). 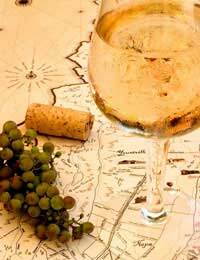 Bardolino, Valipocella and Soave all come from Veneto as do the much sought after Prosecco and Amarone. The latter is something really special – a robust and fruity wine that usually exceeds 15% in alcoholic volume, its production methods make it susceptible to ruin, meaning that the best vintages command high prices. Friuli Venezia Giulia is known chiefly for white wine, often made from diverse blends of grapes, chiefly of German and French origin. Of all of these wines the Pinot Grigio is the most ubiquitous. Though Pinot Grigio varies greatly in quality, in recent years the U.K. has seen an increase in quality Pinot Grigio from the Tre Venezie area. Fortunately, good Italian wine need not be expensive. For a good example of Tre Venezie white try: Pinot Grigio delle tre Venezie 1994, Vino da Tavola for £3.79 from Thresher's. For an alternative try Chardonnay delle tre Venezie, Vino da Tavola for £3.75 from Sainsbury's. In buying those two bottles you will have saved around £6 on the cost of buying two fairly good French wines. With the saving you could buy some good food accompaniments. Sea food, Rissoto and Polenta are staples of the North Eastern Italian diet, although Pasta and Pizza of course feature heavily. Red meat is also common place. With such hearty fare it is understandable that the bold yet simple Pinot Grigio finds its place on many dinner tables, as well as the formidable Amarone, which is ideal with beef. Try the white‘Tocai Italico’or ‘Lison Classico D.O.C.’which is perfect as "aperitivo" with cheese, or with soups. The Italians tend to take their early evening (or late afternoon) aperitif with cheese and for this a light wine is generally preferred. The sharp taste of some North Eastern Italian whites are well countered with a good cheese. Alternatively try the Verdduzzo D.O.C "Lison Pramaggiore" with risotto or fish. White Pasta, mushrooms and Pizza are ideal accompaniments for Pinot Grigio, which sustains the often heavy carbohydrate nature of Italian style cooking.